We are Wimbledon’s top computer virus removal company with certified and friendly professionals. We know how important your data can be for you. That is why nothing is more important for us than protecting your data. We are proud to present ourselves as a company where we endeavour to clean-up the viruses without losing any data. Our engineers in Wimbledon can come to your doorstep to perform virus clean-up for your home or business computers. Alternatively, you can bring in your infected systems to our repair centre. Either way, you can be sure that you will get the best service without breaking the bank. 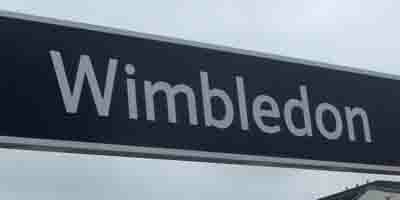 Onsite and Home IT Support in Wimbledon. Most dodgy programs pose as a valid application. They use strong sales tactics to make you purchase their fake products. These programs include adware and Trojans. They display fake security alerts so that you buy their software. This is known as deceptive advertising (the use of malware to sell the software). A common method by these programs is to display fake results when the program scans your computer. When the scan is finished you will be shown a list of fake viruses and threats. Our advice is to stay away from those programs and do not spend your hard earned cash on these applications! Another common tactic is to advertise, or even directly install itself, through the use of malware. These programs are typically installed automatically on your computer if you visit a dodgy site. In some cases it is automatic, and in other cases an executable file must be run. Either way, the computer will have malware installed that prompts you to install another rogue program, to remove it. Alternatively, call us on 0207 6100 500 for a free advice. We also do home visits in Wimbledon for Virus Removal.